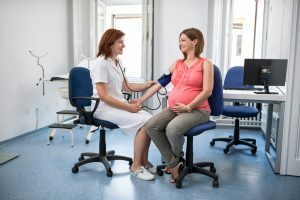 Home > Are OB/GYNs Considered Primary Care? Are OB/GYNs Considered Primary Care? Have you ever wondered if your “lady doctor” can also be your primary care physician? An OB/GYN has expertise in pregnancy, childbirth, reproductive system disorders, and other health issues specific to women. Because of this extensive knowledge, these physicians are not limited to treating just pregnancy, but can function as your primary care physician if you so desire, and your OB/GYN agrees. An OB/GYN is both an obstetrician/gynecologist and a physician specialist, a doctor who has chosen to specialize in the care of women and their reproductive health. An obstetrician deals specifically with the pregnancy and birth processes, and gynecology involves the care of the female reproductive system outside of pregnancy. OB/GYNs are often considered “specialists” by insurance plans and require patients to pay a specialist copay to see them, which is often a more expensive copay than required for a primary care physician. Many women choose to see their OB/GYN for annual checkups, especially if they are experiencing reproductive system issues, breast problems, or menopausal symptoms. Some OB/GYNs prefer to have a family practice or internal medicine physician follow their patients for medical issues not related to the reproductive system, but your OB/GYN can treat you for breast-related problems, perform pap smears, dilation and curettage (D&C), tubal ligations, pelvic ultrasounds, endometrial or uterine biopsies, diagnose and prescribe treatment for menstrual problems, and treat chronic or life-threatening conditions such as endometriosis, cervical cancer, uterine prolapse, and ovarian cancer. It is possible to have both an OB/GYN and a general practitioner, or even a nurse practitioner as your primary care physician to handle other types of illnesses. Having an ongoing relationship with both types of medical professional will ensure that you have someone who is familiar with your overall healthy and any specific health-related issues in case of illness, or if you should need a referral to a specialist for treatment. 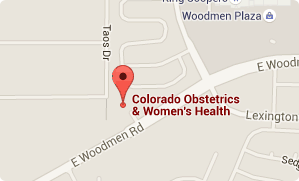 Here at Colorado Obstetrics & Women’s Health we provide the personalized, comprehensive care for all phases of your life, not just when you are carrying a child. We are dedicated to providing Colorado’s female population with complete healthcare for every phase of life. Give us a call today at (719) 634-8800 to schedule an appointment. We look forward to helping you achieve your best health.